Whether it’s your lip, your cheeks, or your tongue, biting the tissues in and around your mouth is a troublesome habit for many. Mostly brought on by stress or as a nervous habit, cheek or lip biting can be hard to break. At our dental office in Austin, we’d like our patients to know just how harmful this habit can actually be and provide them tips on how to stop. Like we’ve discussed, if you’ve identified your biting as a nervous habit, try to consciously work at stopping it. Also chew more deliberately and pay attention while eating to reduce the chance of sustaining an injury. If this is an ongoing problem, talk with your dentist in Austin to determine if your bite may be misaligned. 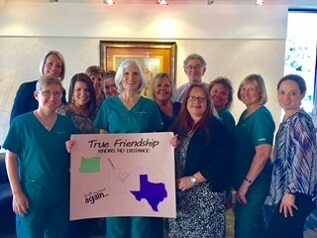 At our Austin dental office, we’re always here to help current and new patients with any concerns they may have. If you’re experiencing the pain of chronically biting your cheeks, lips, or tongue, give us a call to schedule an appointment today. We’ll determine the cause of your biting and work with you to help correct the problem. 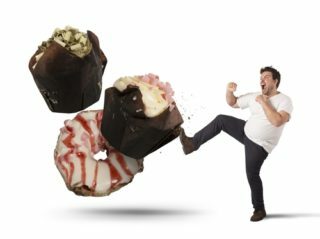 All you need is love….But a little bit of chocolate now and then doesn’t hurt! For as long as we can remember, people have associated a box of chocolates with Valentine’s Day. 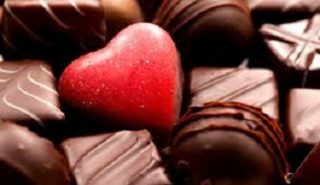 Dark Chocolates have many health benefits you may not be aware of. Dark Chocolate Lowers Blood Pressure, per a study that appears in the Aug 27 issue of The Journal of the American Medical Association, dark chocolate can actually lower your blood pressure. Antioxidants are Found in Dark Chocolate – Dark chocolates, but not milk chocolate is a potent antioxidant. Antioxidants eat up free radicals, destructive molecules that are implicated in heart disease and other ailments. Heart disease is proven associated to periodontal disease. Improve Cardiovascular Function– known to raise HLD levels, in the long term, this should cause much less cholesterol to lodge in the arteries. Protect Your Skin Against Sun Damage -the flavanols found in dark chocolate can protect against sun-induced damage, improve blood flow to the skin and increase skin density and hydration. Improve Brain Function – is known to improve cognitive function in the elderly with mental impairment. It also contains stimulant substances like caffeine and theobromine, which may improve short term brain function. So, go ahead and treat yourself and your Valentine to a box of dark chocolates this year, you may have to balance the extra calories by eating less of other things, but the benefits of chocolate may just be what the doctor ordered! Of course, great brushing habits and regular dental visits with our hygienists are a must! So, have some chocolate today! We are! Happy Valentine’s day!! There’s nothing wrong with a little sugar indulgence every now and then. We get it, sometimes you just need a little fix with a sweet treat. But as most people know, sugar is something every dentist really doesn’t like. And with good reason (more on that in a bit). At our dental office in Austin, we want to help our patients limit how much sugar they consume with these simple tips. Know what you’re eating. Sugar can hide in some surprising places, and you may be unaware of just how much you’re actually eating. Get in the habit of reading the nutritional facts on your groceries.Enjoy home cooked meals. Making your own meals at home allows you to control what ingredients you use and can help you not only limit sugar, but eat healthier overall. Taking these steps to decrease your sugar intake can help keep your teeth and body healthy. But that doesn’t mean other parts of your oral health care routine can take a backseat. It’s still, and always will be, important to brush your teeth twice a day, floss once a day, and visit your dentist in Austin two times a year. If you’re experiencing a dental problem, or if you’re looking for a new dentist, we welcome you to call our Austin dental office to schedule an appointment. We’re always happy to help. At our dental office in Austin, we have a soft spot for fuzzy animals. Which is why we think it’s important to talk about dental care for pets. Dental care for our furry family members is just as important as dental care for humans. And while we don’t accept four-legged patients in this office, we do want to provide you with tips for proper pet dental care. 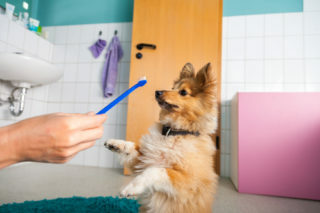 Following the advice above can help keep your pet’s teeth healthy for a lifetime. But don’t forget about your own oral health. Brush twice a day, floss once a day, and maintain visits to our Austin dental office at least every six months. Don’t let dental problems plague you or your pet. Make the commitment to proper oral health for you both. She has been truly touched and overwhelmed by all of the loving patients that have taken the time to come by, send a card, write an email, or pick up the phone to tell her how much her care has meant to them over the years. She will forever be a part of the 12 Oaks Dental family.